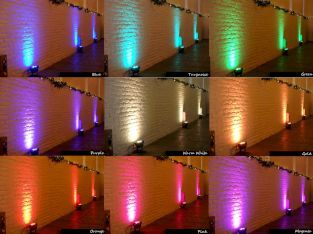 The uplighters were set to warm gold during the day, and then switched to colour-changing for the disco in the evening. 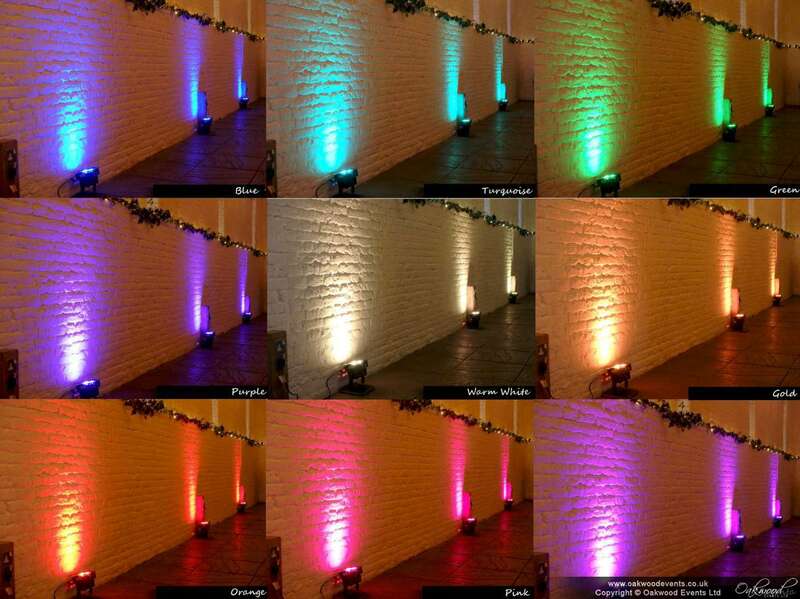 We supplied the lights with a pre-programmed mood lighting controller, which switches between uplighting modes and dims the fairy lights in the evening. 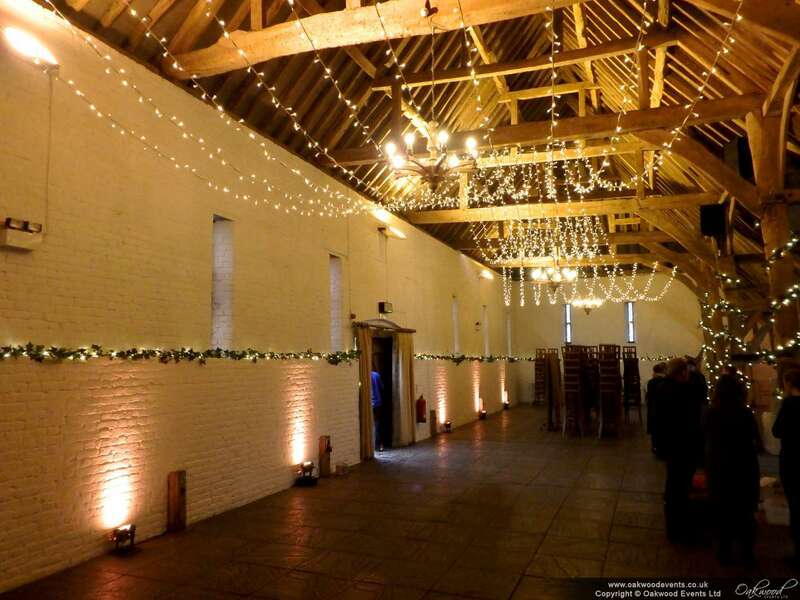 For more information on the lighting we offer at Ufton Court, please take a look at the main Ufton Court Lighting page, or feel free to contact us to discuss lighting options for your wedding. I just wanted to write to say a big thank you for the fairy light star canopy that you installed at our wedding on Friday 30th October. The whole day was fantastic and we both had an amazing time. The venue looked fabulous and the twinkling lights made it all the more magical, and that is all thanks to you at Oakwood Events. Guests have all commented on how great it all looked and we will definitely be recommending you to family and friends in the future.